A urinary tract infection (UTI) is a common issue (particularly in women) that can usually be identified by painful, pungent and frequent urination. If the infection goes untreated for too long, it can also lead to fever and blood in the urine. UTIs are very treatable with antibiotics, but if you catch them early, sometimes various natural treatments at home can clear them up. Just be careful not to let it go too long or the infection can move to your bladder or kidneys. Taking a high-quality probiotic puts good bacteria back into your gut and urinary tract. The good bacteria can help fight off the bad bacteria causing the UTI by leveling the pH of your urine and making your urinary tract a less favorable environment for the infection to thrive. Some research suggests that vitamin C helps prevent or treat UTIs because it’s an antioxidant that makes your urine more acidic, keeping the infectious bacteria from growing. 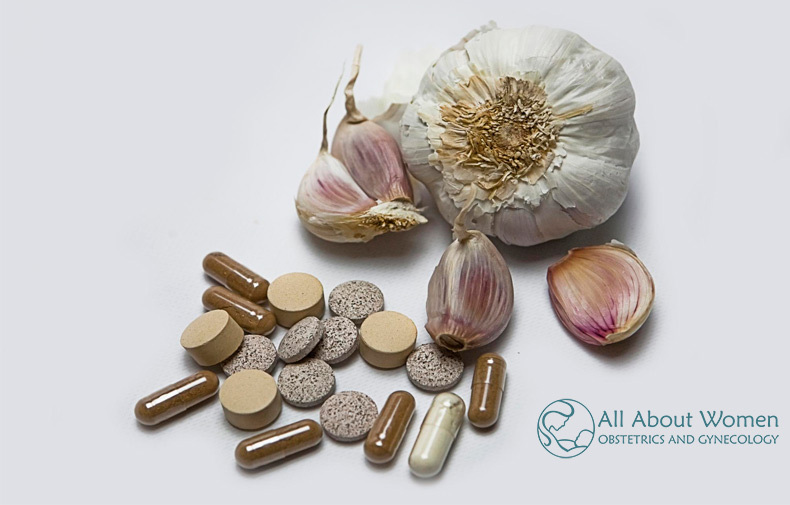 Garlic contains a natural antibacterial component called “allicin” that can stop the growth of bacteria. It can be taken in pill form or in raw form. The effectiveness of cranberry juice is a little questionable, but some studies have shown that it can be beneficial for UTIs. Make sure to drink unsweetened cranberry juice if you do try this method, because bacteria feeds off of sugar. Avoiding foods or drinks that are spicy, contain any sugar (artificial or natural), caffeine or alcohol help to keep your bladder from working harder. Instead, eat foods that are high in fiber (like oatmeal and lentils) and lots of fresh fruits and vegetables. You should also drink plenty of water and practice good hygiene to help keep the bacteria from the UTI at bay. Always talk to your doctor about any signs and symptoms of a urinary tract infection as soon as possible. As we’ve mentioned, UTIs can become more serious problems quickly, so it’s important to begin treatment right away — whether at home, with an antibiotic, or both. If you live in North Florida and need an experienced women’s doctor, contact All About Women today to schedule an appointment.